Bottom-heavy style hyotan (gourd-shaped bottle) was known to be a sign of good luck in ancient China and Japan. 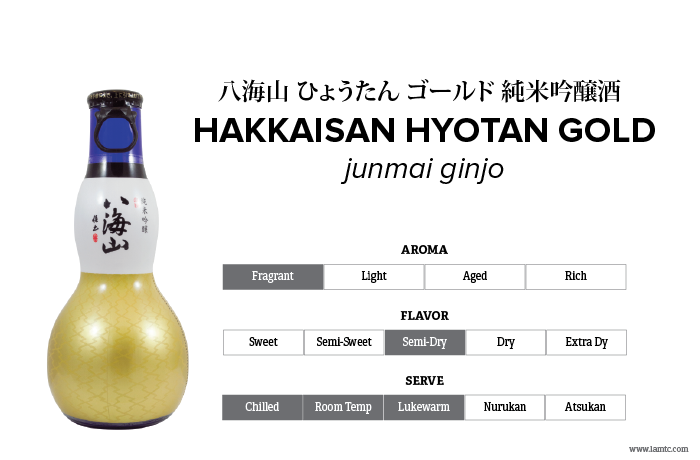 Hakkaisan Sake Brewery has repackaged Junmai Ginjo with gold label and Ginjo sake with silver label into these stylish hyotan bottles. 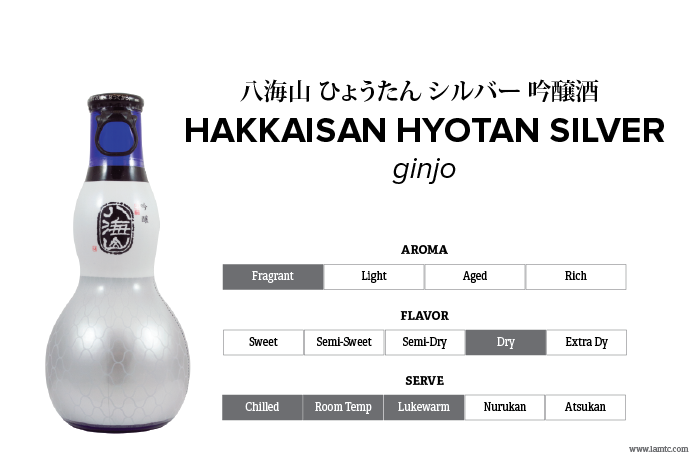 Enjoy this sake either warmed or chilled. For warm sake, remove the label and cap first, then heat the bottle in warm water. This beautiful blue bottle can be reused as a carafe or vase.